** Solo travelers can book a ride for $ 200 and if another rider books we will refund you the amount owed DEPENDING ON amount of paying riders. 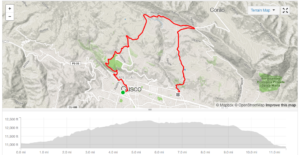 A quick shred on this trail is perfect to get started and gain your confidence while doing the Cusco Half Day Mountain Bike Ride. We generally start with this trail on our half day biking tour. With loads of wide open sections, you can pick where you want to ride. You will get warmed up with a short rocky section and some small jumps followed by tight single track on the edge of the mountain and a steep end to the trail before the last part, urban downhill. Here you get a taste for South America urban rides with dogs and stairs. This sweet track has a bit of everything. It starts off loose with rocky steps and opens up with some small jumps. Ride though a small Andean pueblo before you hit some more small jumps. Now come some steeps after a small eucalyptus forest and on to a section with some bigger gap jumps. 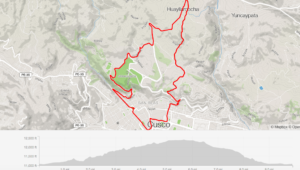 Hit some tight curves before you come out into Cusco and shuttle back up for the next ride. 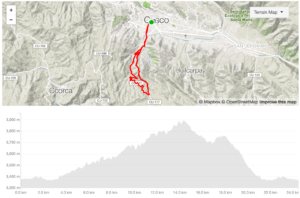 Not to be confused with Salkantay Mountain, this sweet dynamic trail can be done in combination with a few other trails on the Cusco Half Day Mountain Bike Ride. It starts in a small Andean pueblo known as…you guessed it, Salkantay Pueblo. Lots of rock and technical areas where you can clip your pedal, stay on top of your game! You come down though a small forest and end one block from the Plaza de Armas in Cusco. You will get some steeps, some loose rock, some crazy rock stairs and some gnar. The dogs will keep you from looking back and the trail will have you out of the seat and on your toes. 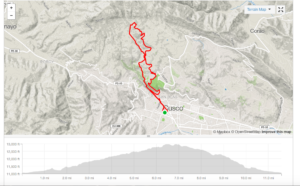 This entry was tagged Cusco, Cusco Half Day Mountain Bike RideCusco Half Day Mountain Bike Ride, Perú. Bookmark the permalink.